An Overview of a Middle – Late Archaic Period Site in the Upper St. Johns River Valley. The Lake Monroe Outlet Midden is located on the northwestern shore of Lake Monroe in Volusia County, FL, where the St. Johns River narrows back into its channel after widening to become the lake. 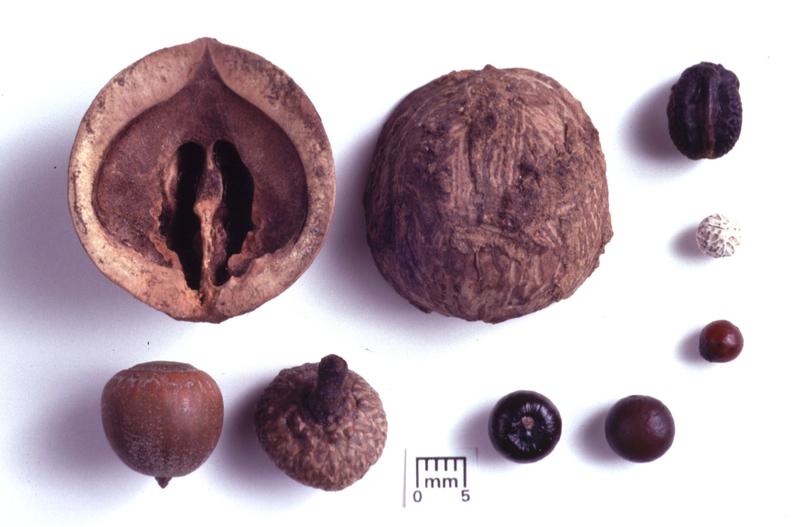 [Fig. 1] Here the river turns north toward Jacksonville and the Atlantic Ocean. The site rises from the swampy, cypress-rimmed lakeshore to a small sand ridge that arcs across the site. 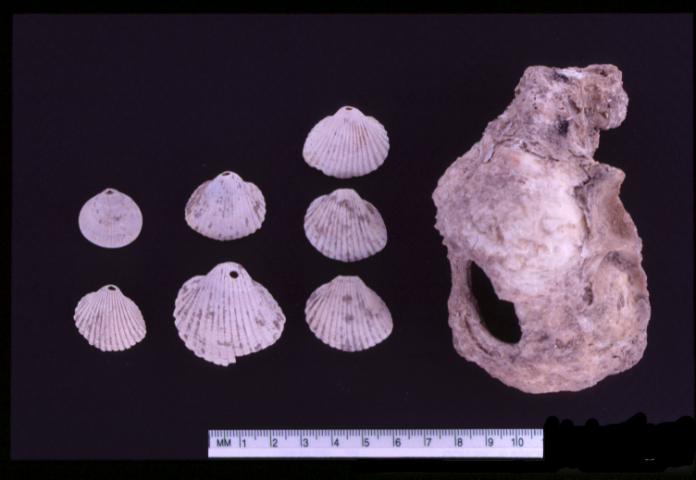 Deep, stratified middens containing great quantities of freshwater molluscs occupy part of the sand ridge, along with an Archaic period lithics workshop that was set apart from the general living area. Today Interstate Highway 4 crosses the St. Johns River at this location. University of Florida archaeologist John Goggin first documented the Lake Monroe Outlet Midden in the early 1950s. He recorded the site as a St. Johns II (ca. A.D. 800-1500) period freshwater shell midden along the lake’s shore. 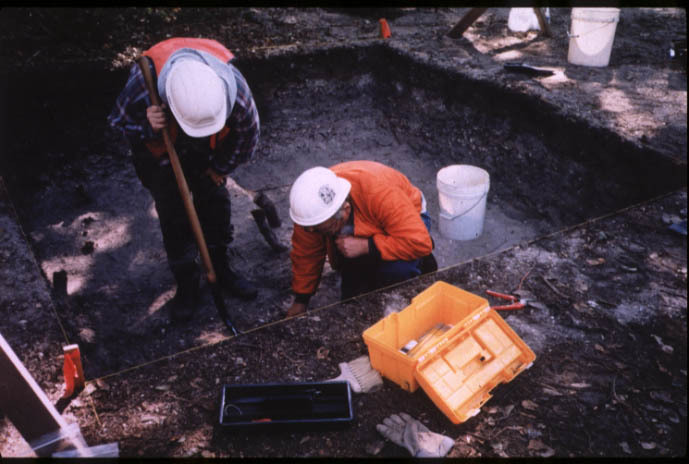 In anticipation of highway enhancements the Florida Department of Transportation contracted archaeologial testing in 1998. [Fig. 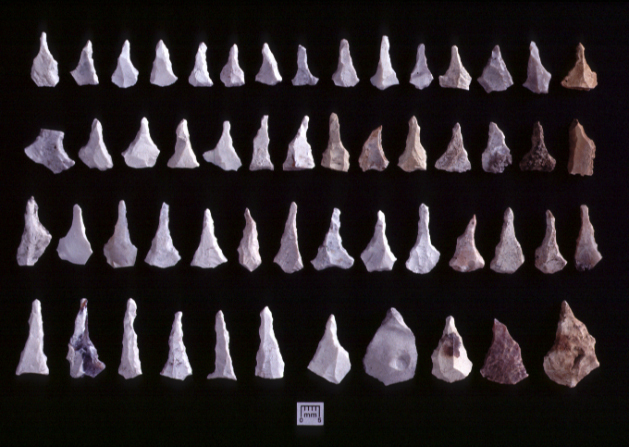 2] The study determined that the shell midden and lithic workshop date to the Middle to Late Archaic or Mount Taylor period (ca. 6000-4000 B.P. ), and not to the St. Johns II period. (Note: B.P. = years before present) In fact, radiocarbon dates indicate the site was occupied around 5600 B.P. The great antiquity of the site is further confirmed by the absence of pottery, a development that would not occur until about 4000 B.P. 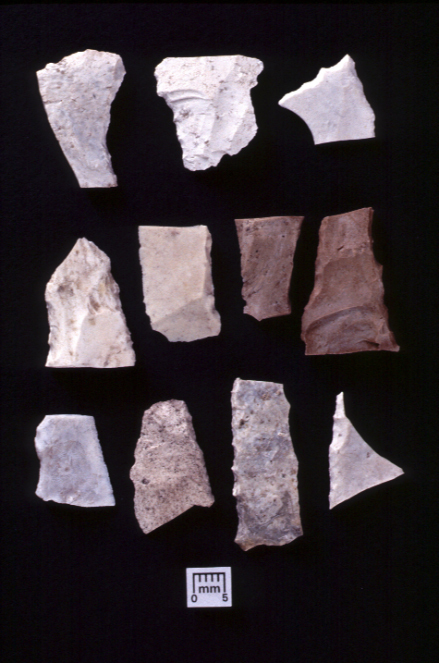 The rich material culture assemblage from the site is indicative of a variety of important activities and a fairly extensive trade network in the Middle – Late Florida Archaic period. 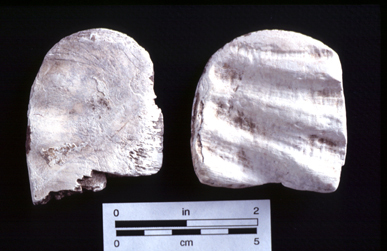 It consists of lithic (chert and silicified coral) debitage and tools, one piece of soapstone [Fig. 8], numerous shark teeth (many worked), marine shells, bone and shell tools, bone and shell beads, a stone bead, and several whelk (Busycon sinistrum) cooking vessels. The chert has several sources throughout the state, some as far south as the Peace River in Polk County. 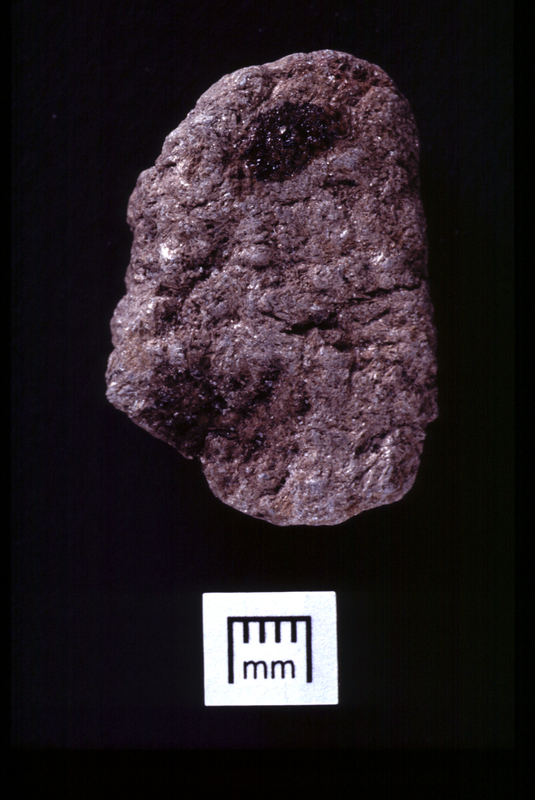 Most of the chert was from the Ocala quarry cluster in Marion County and may have been brought to the site by traveling from the St. Johns River, up the Oklawaha, and back. Soapstone could have been carried down the Atlantic coast from South Carolina or Virginia, or possibly from the Georgia quarries north of Atlanta. 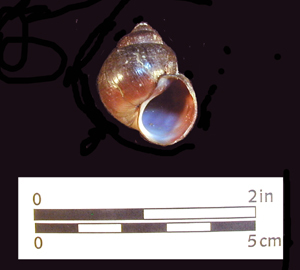 Three queen conch (Strombus gigas) celts were identified. [Fig. 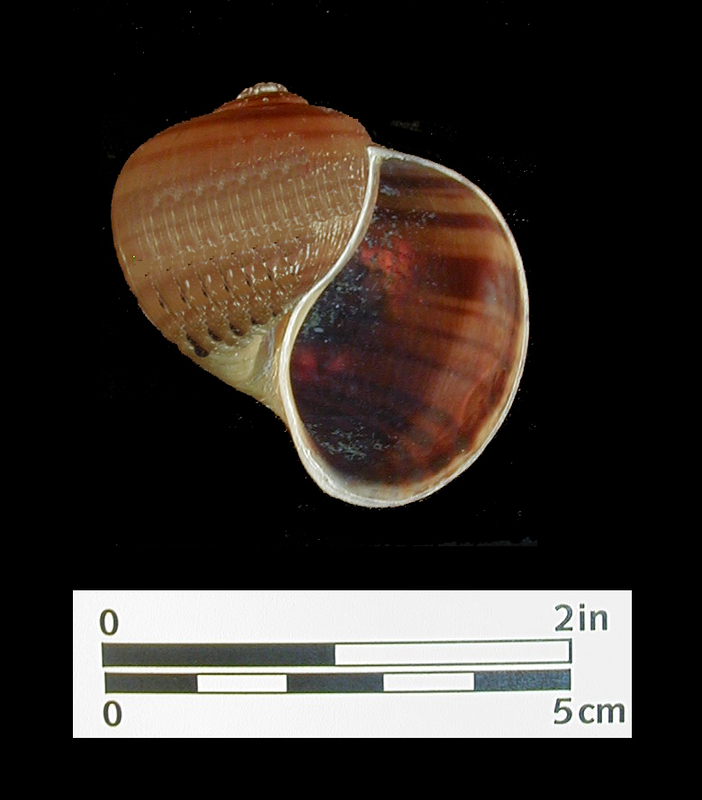 9] This species of shell is present in the area south of Palm Beach, indicating trade or travel to the southern part of the state. 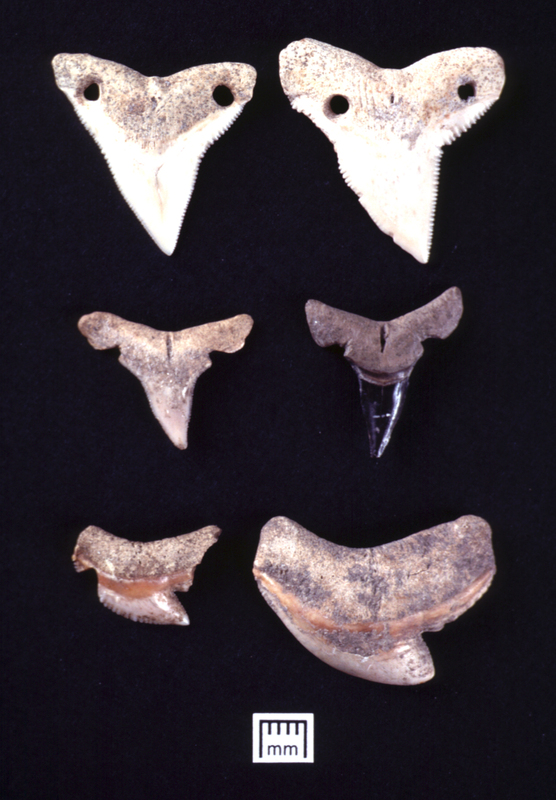 The marine shellfish and shark remains were probably obtained from the Atlantic coast and its associated estuaries, either through a cross county route (about 30 miles) or down the St. Johns River to the coast. 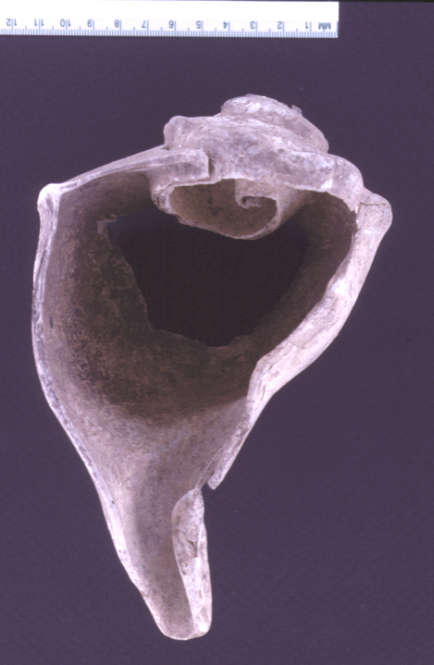 Cooking and food processing activities are indicated by the whelk shells (Busycon sinistrum), which had been modified for use as cooking vessels. [Fig. 10] The bottoms of most of these vessels had been charred and many were broken from overheating. [Fig. 11] The use of nets is inferred from the recovery of a possible net mesh gauge [Fig. 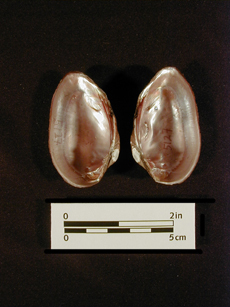 12] as well as the perforated bivalves that may have been used as net weights. [Fig. 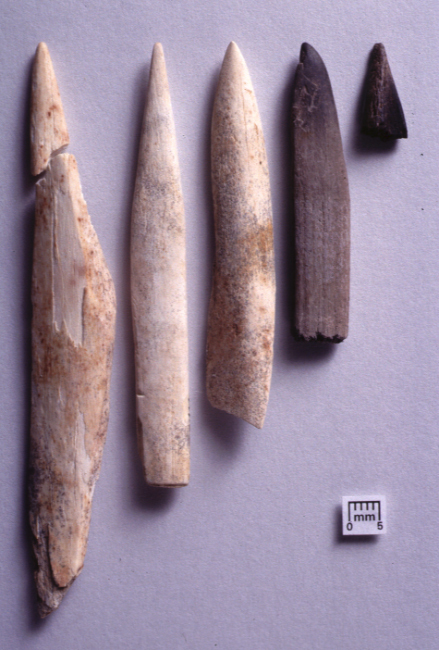 13] Several of the bone tools recovered appear to have been used as fids, which are used in net manufacture or weaving of another sort. [Fig. 14] Hunting and food processing is evidenced by a suite of projectile points and knives. Lithic tool manufacture and maintenance were also site activities. Wood and bone working activities are indicated by the sharks teeth. [Fig. 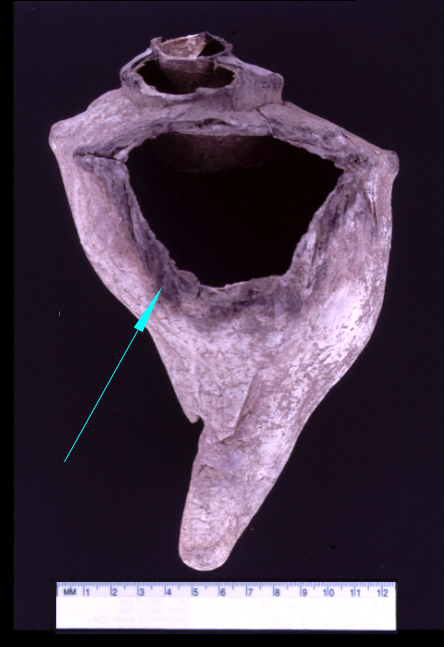 15] It is postulated that the numerous microlith tools may have been used for bone, shell, plant, and wood working. [Fig. 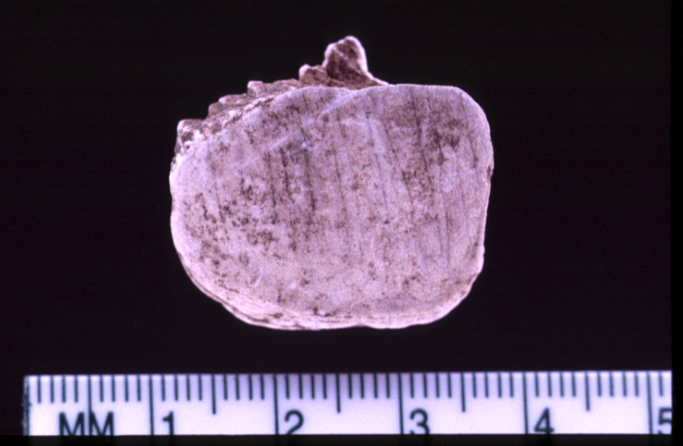 16] For example, many beads were recovered, including hundreds of shell disc beads, some drilled shell beads, cut bird and mammal bones, and one non-local stone bead. The Lake Monroe Outlet Midden evidence suggests that this was a base camp for the local aboriginal people who practiced a fishing-hunting-gathering economy. Subsistence was based on locally available shellfish, fish, reptiles, birds, and mammals as well as nuts and fruits. Trade and/or travel took place across Florida as well as into other areas of the southeast. Lithic tool manufacture and maintenance appears to have been one of the major functions of the site. [Fig. 17] Distribution of the lithic debris and soil chemistry testing suggest that the lithic workshop was kept separate from the living area. Based on the artifact inventory, the site belongs to the archaeological culture period know as Mount Taylor. Note: Go to our Picture Gallery to see the artifacts used by the Lake Monroe People. Phase III excavation at the Lake Monroe Outlet Midden Site (8VO53) was conducted by Archaeological Consultants, Inc. (ACI), Sarasota, Florida in association with Janus Research (JR), St. Petersburg, Florida on behalf of the Federal Highway Administration (FHWA) and the Florida Department of Transportation (FDOT), District Five. This investigation was performed in compliance with the stipulations of a Memorandum of Agreement (MOA) executed by the FHWA, FDOT and the Florida State Historic Preservation Officer (SHPO) in September 1999, incident to the Interstate 4 (I-4) (S.R. 400) road widening and bridge replacement project (Federal Aid Project Numbers NH-4-279; N/A; NH-4-2132; NH-4-243) in Volusia County, Florida. 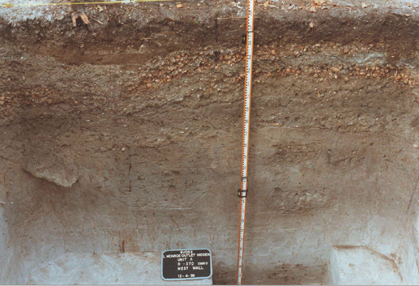 Analyses of the soils and plant and animal remains for this project were conducted by the Environmental Archaeology Laboratory, Florida Museum of Natural History, University of Florida, Gainesville. At the Florida Museum of Natural History research is a means of teaching students the necessary scientific and technical skills to operate in the modern world. The Lake Monroe research presents a practical way of allowing the student to experience the scientific process and to manage large amounts of data. Seven University of Florida students and one elementary school student participated in this study.